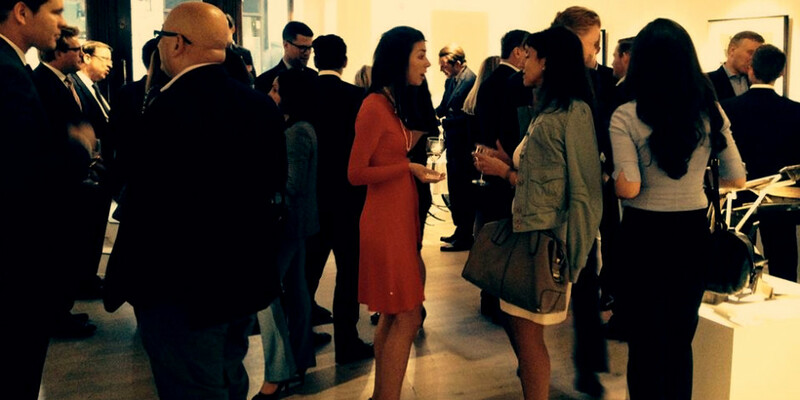 To Whitford Fine Art, St James’s, London for an evening of drinks, light bites and connecting with Jersey Finance and friends from across the HedgeBrunch Network. With a rich vein of fine art interest running through many in the alternatives space this was a delightful venue in which to gather and forge new friendships. 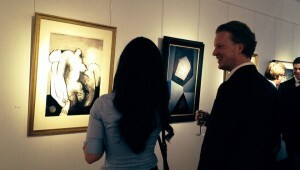 The Whitford gallery was playing host to an exhibition of gouaches and drawings by Polish inter-war artist Caziel. On hand to tell us more of the interesting abstract and figurative pieces exhibited was gallery manger Gabriel Toso. 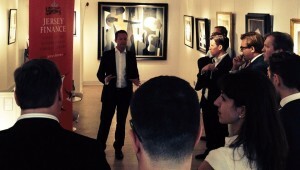 He gave an insight into the fascinating stories behind the work alongside more on Whitford themselves. One of London’s leading galleries, they have been focused on 20th century British and French art since 1973 so there are few better places to get a modern art fix. Well fed, watered and cultured, conversation turned back to work topics courtesy of an introduction to the vagaries of domiciliation from Jersey Finance’s Richard Nunn. We keep a fine balance between work and play at HedgeBrunch though and Mr Nunn deftly spoke of the islands attractions without missing a beat between sips of his champagne flute and quips on the state of the markets. Mr Toso completed the evening by offering each HedgeBrunch guests 2 VIP tickets to the very special Masterpiece Art Fair in London’s prestigious Royal Hospital Club, Chelsea, which was in the following weeks – a delightful end to the evening! 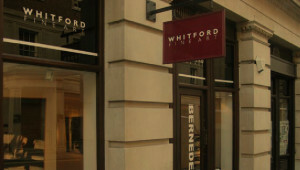 Click on Jersey Finance or Whitford Fine Art to learn more.